We are, by nature, story-tellers. I don't care what your chosen medium of expression is - a good chunk of people alive today want to tell their story in their own way. But what makes for better wildlife story-telling? I often conduct workshops to inspire other wildlife photographers to tell better wildlife stories. This is the first of a series of posts here on my blog where I will delve into some of the principles I discuss during these presentations. My hope is that it will inspire you to look at your own photographic voice and style, and try to steer away from just taking the same photos you've always taken, and the same photos that everyone else is taking. We've all got our photographic muse when it comes to wildlife photography. Not everyone is lucky enough to live on the continent of Africa, but some who don't live here are able to travel here on safari frequently. Nevertheless, for some it will be the polar bear, for others the tiger, for some it might even be the carmine bee-eater or the orca. It doesn't really matter...what matters is - are you able to convey something about that favourite species of yours through your photography? Are you able to show people not just what they would physically see in the frame of your photo, but also show them what else there might be? Case in point: the leopard. While they are certainly my favourite big cat to be able to photograph, they are definitely not the one I most often see. Why? Because of their nature. Because of what leopards are. But do most photos of leopards in the wild show this? Sure, it's great getting a chance to photograph a leopard in sweet light, lying prone on an open tree branch or termite mound, fully cooperating with the photographer. You can get plenty of those shots if you go to the right reserve/national park at the right time, and you have some luck on your side. Yet, after seeing hundreds (if not thousands) of those photos in the photographic communities/forums that I am involved in - it has become rather "meh" to me. What I am now looking for constantly is that image that shows off the qualities of this predator that I have listed. 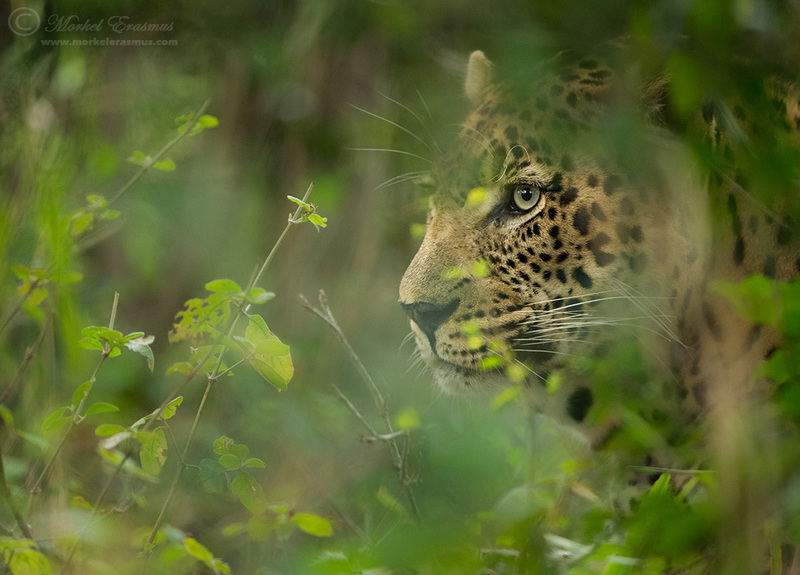 Or any other quality that's not obvious when doing a simple Google search for leopard photos. In order to get those shots, you might need to forego your desire to have that golden light, with the cat on an unobstructed perch. Consider this image. 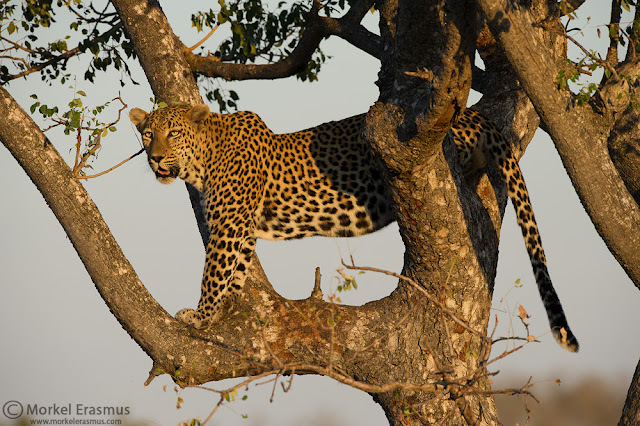 Does it not say infinitely more about the enigmatic leopard than the one I posted higher up in the post?